It is a God given fact that the Sun and London do not go together. Hardly a summer passes by where we don't hear at least one complaint of how rubbish it all was. 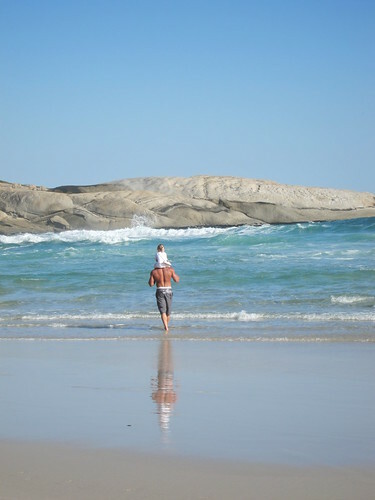 Imagine my chagrin as I sat on a sunny South African beach, revelling in the fact that this year I didn't need to cope with London's highly changeable weather, only to find out that my home had been bathed in sunlight for days on end. However, as much as I was enjoying my trip, the thought of a sunny London just made going home a lot easier. Nothing complements the sunny weather better than an ice cold ice cream to cool you down. Ice cream has been proven to contain medicinal qualities (this may be made up) and can be prescribed as a cure for heat stroke or melancholy (this is a fact). 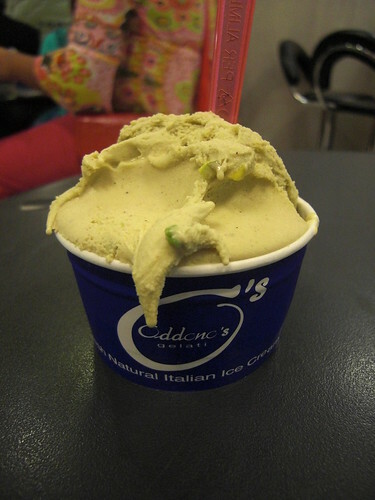 As the sun appears to have crept up on London, so have a handful of ice cream parlours. 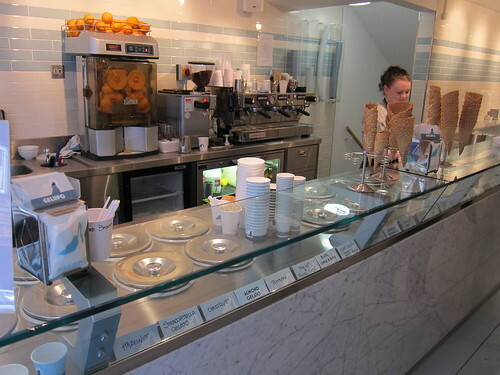 With Scoop initially leading the way with their branch in Covent Garden and now one in Soho, we have seen various other ice cream parlours or "gelateria" (for the softer and creamier Italian versions) pop up. 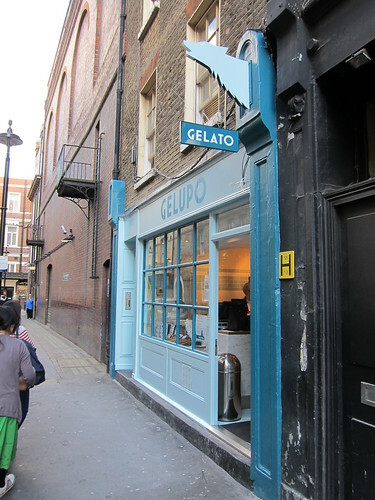 One that has received a flurry of good reviews has been Gelupo on Archer Street. Little sister to Bocca di Lupo (a "regional Italian restaurant") across the road, the premises are dedicated to "gelati, sorbets and granita" with a shop selling a smattering of Italian comestibles. With the waitress thrusting tasters upon me (it would have been rude to decline), I had a taste of the pistachio (nutty and sweet) and the slightly less standard Bonet (essentially a combination of rum, amaretti, coffee, chocolate). Soon enough, a choice had to be made so I opted for another firm favourite flavour in hazelnut and something a bit different with the ricotta, coffee and honey flavour. The hazelnut was all I could hope for. I am a big fan of nut based ice creams, and this had all the nutty characteristics you would expect, alongside the sweet creaminess that only a good gelato can deliver. The ricotta, coffee and honey was a stunning combination of flavours, with the coffee and honey being two quite unexpected but entirely complementary bedfellows. My compatriots opted for a variety of the sorbets and granitas, and although they commented that their offerings may have been erring on the sweet side, I was incredibly satisfied with their creamier offerings. At £3 for a medium cup, it's not totally extortionate and the perfect remedy for a hot stroll around Soho. A few days later, it was time for another (totally different) adventure, this time in the badlands of Camden. 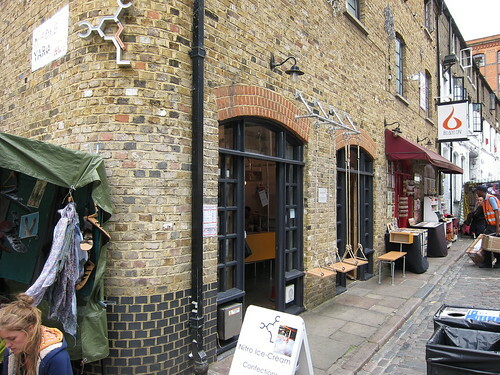 After strolling past the hordes of tourists perusing shops offering piercing, tattoos and leather goods (an interesting assortment of London souvenirs, I’m sure you will agree), we approached the iconic Camden Lock. 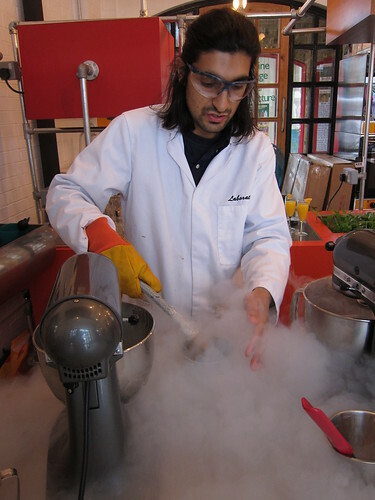 Here you will find the Chin Chin Laboratorists, apparently Londons first liquid nitrogen ice cream parlour. My ultra scientific explanation is that liquid nitrogen is seriously cold. Mixing it together with cream whilst it is being whisked around makes ice cream in mere minutes, with the liquid nitrogen turning into gas and evaporating off. Trust me, go and listen to the explanation given by Ahrash, one half of the duo behind this venture, it will make a tonne more sense. As he studiously prepares the ice cream, he chats to you and answers any questions that you may have. This just added to the charm of the place. The choice isn't vast but with two standard flavours (vanilla and choc I think) and one guest flavour every day (with other flavours in development) it should get your whistle well and truly whetted. And besides, once the show with the liquid nitrogen is over, you get to chat with Nyisha, co-owner and partner, who will jazz up your ice cream with whatever you desire from the toppings that are available. I opted for salted caramel sauce and some nibbed hazelnuts. I can't say that the ice cream taste any different than what I would expect from a premium ice cream, but it was still an excellent rendition of vanilla ice cream and the toppings were a wonderful addition. At £4, this is a bit more expensive than other ice cream parlours, but then again, do you get theatre and education there? As well was chatting to the two lovely people behind the counter? I thought not. 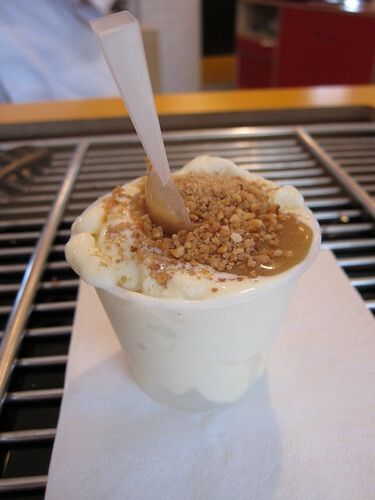 There are tonnes more ice cream places in London and I will endeavour to check a few out before the summer is out and we are back in our thick warm winter coats (so probably some time in September). If you have any personal favourites, please let me know! The sour cherry granita at Gelupo is truly outstanding. Barely sweet, very sour, perfect. 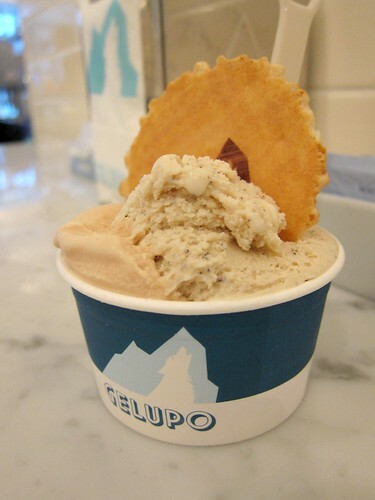 I second Anthony's comment and also love the blood orange granita at Gelupo - I had them layered one on top of the other and there was not too much mingling (a good option for the torn or indecisive). @Silverbrow - Will definitely give it a try next time. I just have such trouble looking past the ice cream. @GD - Can I layer granita and ice cream or is that just wrong?